I’m looking out of the window and it’s a grey, cold, overcast day. Just the sort of day that encourages Seasonal Affective Disorder or SAD. SAD is associated with a lack of energy and depression. In some 8% of people it’s serious enough to need treatment, but in some degree it affects at least a quarter of us. And almost all of us feel less upbeat after a spell of gloomy weather. SAD – or the ‘winter blues’ – is caused by insufficient sunlight. The result is a general lethargy and, in some people, sleep problems, lower libido and an urge to overeat. There’s even a charity devoted to helping victims of SAD. The connection with mood is because light passes through the eye to the hypothalamus, a part of the brain that controls the production of many of your hormones – including oxytocin, the ‘love’ hormone. Lack of sunlight is responsible for even more serious conditions than a general feeling of malaise. If you are like the majority of people in our modern world, you work indoors almost all the time. Then you go home, cook and relax by reading or watching TV – so you continue to be indoors. The result is that you don’t get enough sunlight and therefore you don’t get enough vitamin D. Yet we are evolved to absorb sunlight and when we do not get enough, our bodies don’t function well. Vitamin D plays a major role in maintaining overall health. It regulates over 1,000 different genes – upregulating health-promoting genes and downregulating health-threatening genes. Research shows that sub-optimal levels of vitamin D3 in the blood are linked to high blood pressure, heart disease, osteoporosis, possibly multiple sclerosis and an increased risk of various forms of cancer, including breast, colon and prostate cancer. Significantly, researchers have tracked mortality rates from breast cancer, prostate cancer, colon, and ovarian cancer and found them lower in the sunnier states of the USA. Cells in your body have vitamin D “receptors”, and the presence of these specific receptors mean vitamin D is actually a hormone, rather than a vitamin. We know that vitamin D plays an important role in how cells develop. So it is perhaps not surprising that when vitamin D is directly applied to ‘D receptors’ in the laboratory, cancer cells stop growing and multiplying, according to research published by the National Cancer Institute in America. Although all males who lack adequate levels of vitamin D are more vulnerable to prostate problems, males originally of African origin are especially at risk of prostate cancer. Sub-optimal levels of vitamin D can be injurious to health generally and they are also linked to dementia. In fact, a 7 year study published in the US National Library of Medicine shows that low levels of vitamin D increase the risk of dementia almost 20 times! Vitamin D deficiency is also very common in people with cardiovascular disease. A 2010 survey showed that almost all people with heart failure have reduced D levels. So much so that low vitamin D status is now acknowledged as an independent predictor for arterial diseases, including heart attacks and strokes. There are dozens of studies that show you need vitamin D to maintain your cardiovascular health. But in the winter it’s virtually impossible to get the level you need from sunlight. And few foods can provide enough to make up the difference. 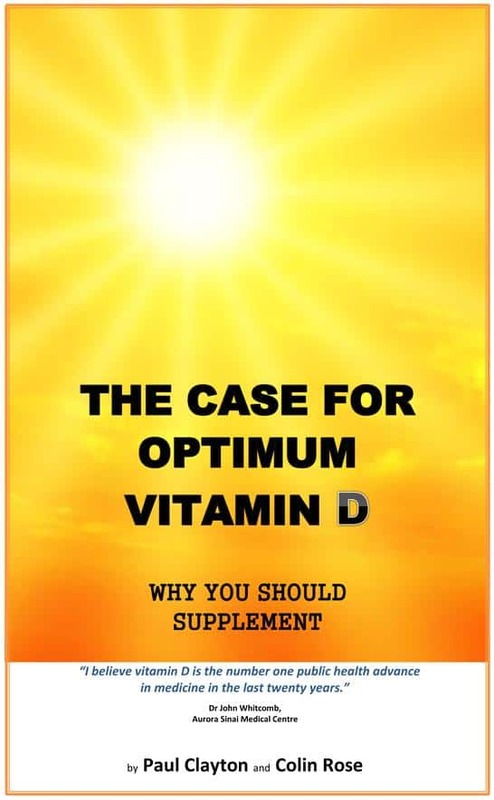 A supplement of vitamin D3 – the natural version that is created by sunlight – is the answer. But it’s important to make sure you’re taking the proper dose. Studies of cardiovascular patients who take only an average of 500 IU a day generally show little benefit, whereas those taking 2,000 IU do. People with diabetes have lower levels of vitamin D than the general population. A vitamin D deficiency makes you almost twice as likely to progress to insulin resistance, the pre-cursor of diabetes or ‘pre-diabetes’. And more than doubles your risk for progressing to type II diabetes (see references). On the other hand, a study in the American Journal of Clinical Nutrition showed that a supplement level of vitamin D3 at 2,000 IU a day slows the progression from pre-diabetes to diabetes. When overweight, non-diabetic adults supplemented with 2,000 IU/day of vitamin D or a placebo for 16 weeks, the vitamin D group had significantly improved insulin secretion and glucose clearance from their blood. The control subjects saw a worsening of these markers. Ensuring that you have an optimum intake of vitamin D is essential to combat SAD and protect against cancer, heart disease, dementia and diabetes. One a day vitamin pills with just the Recommended Daily Amount (RDA/RNI) are sub-optimal, as the RDA/RNI in the UK and EU is inadequate, particularly for winter. Serum vitamin D deficiency as a predictor of incident non-Alzheimer dementias: a 7-year longitudinal study. Annweiler C, Rolland Y, Schott AM, Blain H, Vellas B, Beauchet O. Dement Geriatr Cogn Disord. 2011;32(4):273-8. Vitamin D status and peripheral arterial disease: evidence so far. Chua GT, Chan YC, Cheng SW.. Vasc Health Risk Manag. 2011;7:671-5. Recruitment and results of a pilot trial of vitamin D supplementation in the general population of Australia. Tran B, Armstrong BK, Carlin JB, et al. J Clin Endocrinol Metab. 2012 Dec;97(12):4473-80. Lipoprotein lipase links vitamin D, insulin resistance, and type 2 diabetes: a cross-sectional epidemiological study. Huang Y, Li X, Wang M, et al. Cardiovasc Diabetol. 2013;12:17. Effects of vitamin D and calcium supplementation on pancreatic beta cell function, insulin sensitivity, and glycemia in adults at high risk of diabetes: the Calcium and Vitamin D for Diabetes Mellitus (CaDDM) randomized controlled trial. Mitri J, Dawson-Hughes B, Hu FB, Pittas AG.. Am J Clin Nutr. 2011 Aug;94(2):486-94. You are almost certainly not getting enough vitamin D, according to the latest medical evidence. Along with other health researchers in the field, I am concerned that most people have far too little vitamin D for their best health – especially in the winter. The NHS now recommends that people at risk of deficiency should consider taking a daily supplement of vitamin D, particularly during autumn and winter. However, a huge weight of evidence shows that just avoiding deficiency with ‘adequate’ levels of vitamin D is not enough. You need to reach optimum blood levels of vitamin D to obtain the major health benefits. But what is an optimum level? Unfortunately there is a lot of confusion of what constitutes ‘adequate’ and ‘optimum’ levels. The UK is in the unhappy position of having an official RDA (Recommended Daily Amount) that is half the latest Public Health England recommendation – and a third of the new US RDA levels! And far less again than the optimum level that experts recommend. 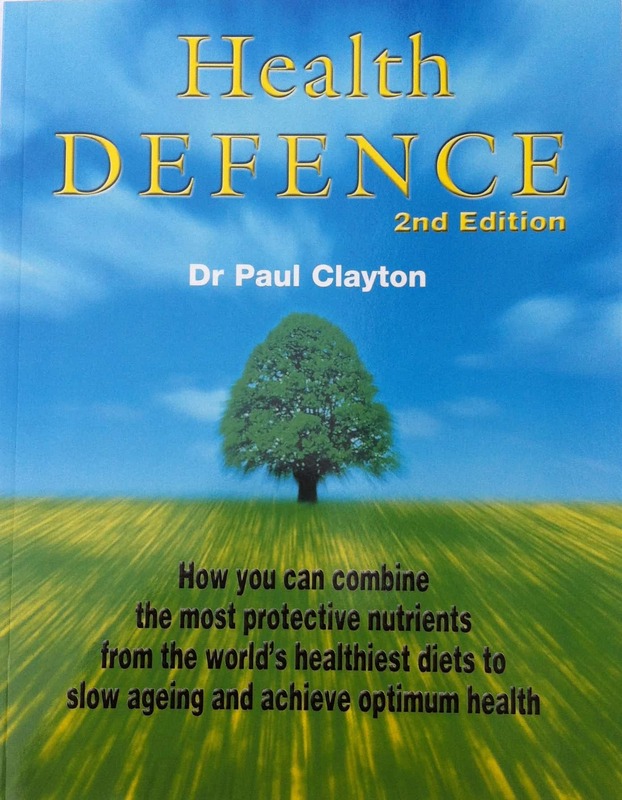 So I have prepared a short e-book on the optimum level of vitamin D you should aim for. You can download it as a pdf now. Y ou can buy Vitamin D3 (the preferred form of natural Vitamin D) from here. Our special introductory offer is for 1 bottle of 120 capsules of 2,000IU D3 free when you buy 2.